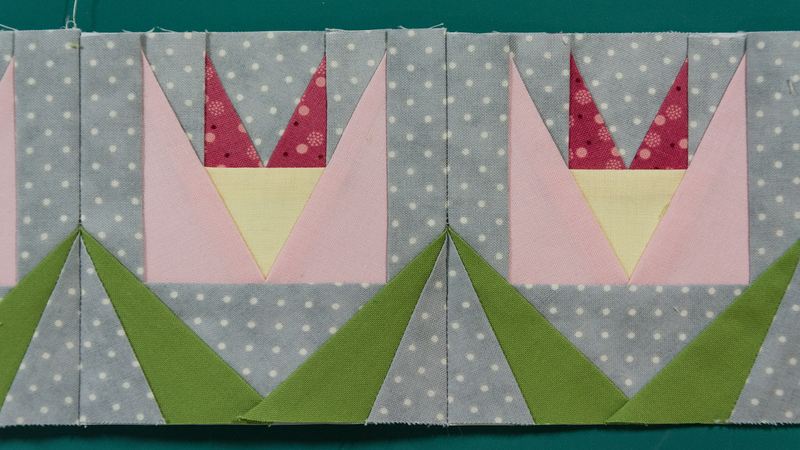 I made these paper (foundation) piecing blocks for a project that is not ready yet. When I paper piece I need to remind myself of the steps involved. This time I decided to create a video tutorial in case you also need a refresher, or for those of you who are intimidated by paper piecing. The video is short (4.11 minutes) but covers all the steps to make the block above, which are the same steps you will use for any other block. 1. The Add-a-quarter ruler to trim fabrics as you stitch them. 2. I prefer to use Aurifil threads, either the 50 or the 40 wt. They are thin yet sturdy enough so stitches will remain intact when you remove foundation paper. I like the neutral colors for paper piecing. 3. Lately I have been using the foundation paper by Martingale, which is very easy to remove. 4. 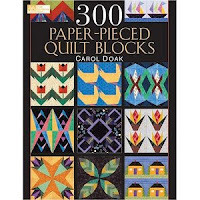 If you do not notice on the credits at the end of the video, the pattern for this block can be found in Carol Doak's book "300 Paper Pieced Quilt Blocks", which I mentioned on this post. I love the blocks in this book and am so glad I have it. 5. A piece of heavy card stock or a greeting card, an old credit card, or a hotel key card are needed for when you trim each fabric you add. I hope this tutorial helps you. Have a great day!